Pianos on State, photo by Art Fisher. State Street’s got some rhythm in its soul this month with the annual Pianos on State interactive musical exhibit on display throughout October. 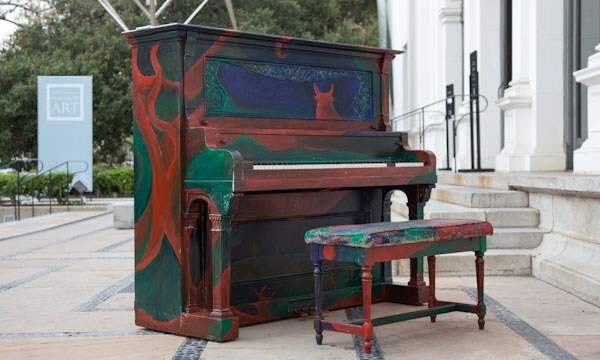 In its 9th year, the exhibition will extend from October 2-24, and feature pianos painted by Santa Barbara-based artists—all of which are available for community exploration, impromptu play and group performances. This year’s panel received a record number of submissions, according to organizers from Santa Barbara County Office of Arts and Culture. The selected artists include Aviel Hyman, Mahina Martinson, Ariana Meyers, Jack Mohr, Amanda Phillips, Melody Rose, Sheryl Schroeder, Lanny Sherwin and Richard Stokes. 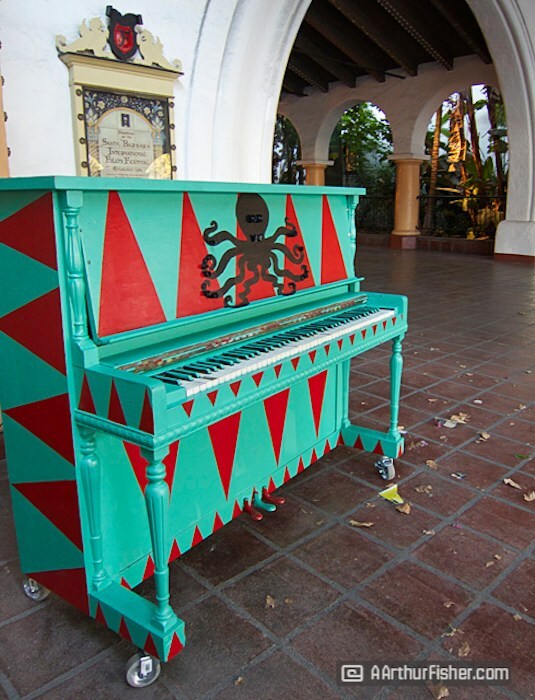 Additional community partners working with local students and artists to design pianos include Art From Scrap, the Santa Barbara Public Library Central Branch, The Arts Fund and Youth Interactive. Helmed by the Santa Barbara Bowl, this program represents a unique collaboration that aims to provide arts exposure for residents and visitors of all ages. 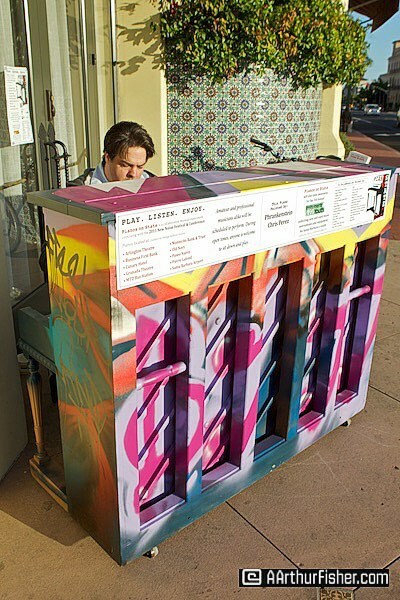 “The pianos are a beloved tradition that enhances the cultural vibrancy of Santa Barbara and the downtown corridor. It is a way to engage the community by inviting participants of all ages and backgrounds to experience performing arts in a public space,” says Kai Tepper, Santa Barbara Bowl Education Outreach Program Manager. Additional producing partners include the City of Santa Barbara, Office of Arts and Culture, The Arts Fund, Santa Barbara Arts Collaborative, Downtown Santa Barbara, the Santa Barbara Education Foundation and New Noise SB. Many local sponsors and businesses also help sponsor and underwrite costs. Isaac Hernandez. Untitled. Acrylic paint on piano. Exhibited outside the Santa Barbara Museum of Art. November 7, 2010. ©2010 Isaac Hernandez/IsaacArt.com. An opening celebration takes place on 1st Thursday, October 4, from 5-8 p.m. as artists traverse the pianos and the Piano Boys perform at the Library’s piano at the intersection of State and Anapamu Streets.